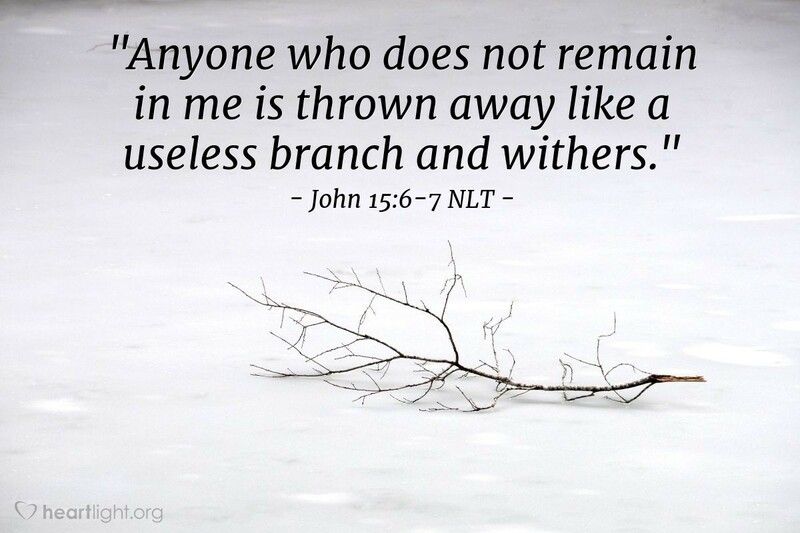 [Jesus said,] "Anyone who does not remain in me is thrown away like a useless branch and withers. Such branches are gathered into a pile to be burned. But if you remain in me and my words remain in you, you may ask for anything you want, and it will be granted!" One of the key blessings of being joined to Jesus is knowing that he takes our requests, concerns, and burdens and presents them to the Father. We can be confident that the Father hears our hearts and knows our needs. Being joined to Jesus (remaining in Christ) means we are heard and understood by the Father! In the name of Jesus, I come to you, Father, confident that you will hear my prayer and act for my best eternal good. Please forgive me of my sins as I actively seek to reconcile my differences with others. In Jesus' name. Amen.